In his role as CEO, Gabe draws on broad experience in both biology and technology to advance Freenome’s mission of giving everyone the tools they need to detect, treat, and ultimately prevent their diseases. Along with co-founder Riley Ennis, Gabe believes that forging a strong culture is essential to helping Freenome achieve its goals—normalizing mistakes in order to better learn from them, and incorporating core values of empathy, integrity, and trust into every aspect of Freenome’s work. Gabe holds undergraduate degrees in biology and chemistry from Cornell University. His interest in chromatin biology and the epigenetics of age-associated diseases during graduate studies culminated in the publication of several papers on the application of machine learning to large genomics datasets. In 2014, Gabe founded Acorn, a location-based messaging service, following work as a software engineer at Apple, Glyde, and Tumblr. With the knowledge and skills he gained as a biotechnology entrepreneur, Riley is helping to make Freenome’s vision of a cancer-free world a reality. As the company’s co-founder and Chief Operating Officer, Riley heads the clinical and commercial development of Freenome’s noninvasive tests for early cancer detection and treatment selection. 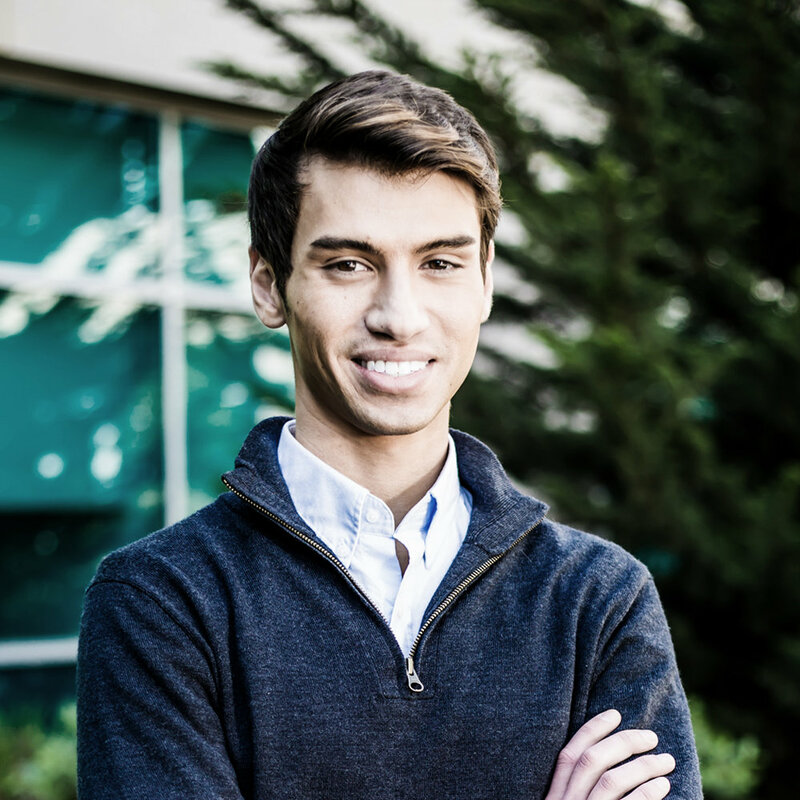 A Thiel Fellow, Riley developed a cancer vaccine and founded his first biotech company, Immudicon, while still in high school. While earning his degree in molecular biology at Dartmouth, Riley co-authored several publications and worked as a visiting scientist with Novartis. In addition to his work as a scientist, Riley worked as an analyst at Morgan Stanley and an associate at Bridgewater, where he observed the positive impact of a strong organizational culture firsthand. Riley’s previous biotech experience includes work at Foundation Medicine, Syros Pharmaceuticals, Adimab, and Emergent Biosolutions. As Freenome’s Chief Medical Officer, Girish oversees the clinical validation of Freenome’s blood tests and helps navigate the regulatory and financial complexities of the healthcare industry. As director of laboratory science for Palmetto GBA’s MolDX program, Girish continues to oversee coverage and reimbursement for molecular testing for approximately half of the Medicare population. Girish has held senior leadership roles, including founding laboratory director and Chief Medical Officer, at Ariosa Diagnostics, Crescendo Bioscience, Life Technologies, and VitaPath Genetics. His entrepreneurial experience at Panorama Capital and RiverVest Venture Partners included investments in biopharmaceuticals, medical devices, and diagnostics and services. He served on the boards of portfolio companies, Presidio Pharmaceuticals, PowerVision, and Phenomix. Girish holds an MD in molecular neuroscience from Washington University in St. Louis, and completed his fellowship in molecular genetic pathology at Stanford University. Mike brings over 2 decades of experience to his role as Freenome’s Chief Commercial Officer, building on a proven track record of delivering transformative diagnostic technologies to help clinicians drive better outcomes for their patients. At Freenome, Mike is focused on building a commercial team and making our first early-detection test as broadly accessible to providers and patients as possible. Mike comes to Freenome from Foundation Medicine, where he served as SVP of Commercial Operations and led a cross-functional team to expand the use of next-generation sequencing technologies in cancer. Experience in past roles at Thermo Fisher, Luminex, Roche Molecular Systems, Roche Diagnostics, and Abbott Diagnostics included general management and commercial leadership of teams and bringing innovative technologies to mainstream utilization in clinical care. Mike holds a B.S. in Biological Sciences and a MBA from the University of Wyoming. A clinician by training, Charlie is Freenome’s Chief Partnership Officer, focusing on mid- and longer-term relationships that will help define the company’s future directions and revenues and works closely with the business development team in managing corporate client accounts and institutional collaborations. Charlie studied medicine and neuropsychology in the UK, earning a Masters degree from Oxford with a focus on immunotherapy. He has worked in some of the UK’s leading oncology centers, including the Royal Marsden. An internal medicine-trained physician and healthtech expert with seventeen years experience in medical marketing and healthcare strategy, Lena serves as Freenome’s Vice President of Marketing. In this role, Lena helps translate complex medical concepts and value propositions into compelling, inspiring marketing strategies to help diverse audiences understand how Freenome’s breakthrough technology can improve patient outcomes and lower healthcare costs. Prior to joining Freenome, Lena was the vice president of enterprise marketing at Doctor On Demand, the country’s leading video telemedicine company. A key member of the leadership team, Lena helped to scale Doctor On Demand’s partnerships with self-insured employers and health plans. Lena earned an MD from the Northwestern University Feinberg School of Medicine in the honors program in medical education. As head of business development, Blandine is focused on growing and maintaining strategic partnerships with bio-pharmaceutical and academic organizations in the development of the next generation of genomic screening tools and precision oncology therapies. Before joining Freenome, Blandine was the head of pharma alliance management at Guardant Health, where she oversaw rapid revenue growth, and spent and oversaw product portfolio management at Kraft for more than a decade. In her role as Director of Alliance Management at Alkahest, Blandine cultivated strong relationships with strategic investors and streamlined a framework for strategic financial planning. Blandine holds an MS in molecular biology from Paris-Sud University and an MS in engineering and management from ISA Engineering and Business School. With a focus on clinical development, regulatory approval, payer coverage and reimbursement, and health economics, the IMPACT Advisory Board is the cornerstone of Freenome’s commitment to broad patient access to AI-genomic blood tests for the early detection of cancer. Formerly Commissioner of the US Food and Drug Administration, Dr. Califf is Vice Chancellor for Health Data Science at Duke Health and Director of the Duke University Center for Health Data Science. He has been involved in dozens of landmark clinical trials and is recognized as one of the most-cited medical authors today. Dr. Grady is a member of the Gastrointestinal Cancer Genetics and Colon Cancer Screening Panel, part of the National Comprehensive Cancer Network, and serves as Professor of Gastroenterology at the University of Washington School of Medicine. His current research centers on novel biomarkers for the prevention and treatment of colon cancer at the Fred Hutchinson Cancer Research Center. Dr. Gutierrez is a former 25-year veteran of the US Food and Drug Administration, including eight years as Director of the agency’s Office of In-Vitro Diagnostics, a tenure that saw breakneck advances in the field of molecular diagnostics. He is currently a partner at NDA Partners. Dr. Hayes is currently the Stuart B Padnos Professor of Breast Cancer Research; and Professor, Internal Medicine, School of Medicine, University of Michigan. Former President of the American Society of Clinical Oncology, he is an authority in the field of breast cancer research with a focus on the identification and validation of tumor biomarker tests. Dr. Robertson is Chief of Gastroenterology at White River Junction Veterans Affairs Medical Center and Professor at the Geisel School of Medicine at Dartmouth. He has a long standing research interest in colorectal cancer epidemiology and outcomes and currently serves as the Co-Chair of the large CONFIRM trial (N = 50,000 US Veterans). Dr. Robertson is also a member of the US Multi-Society Task Force of Colorectal Cancer. Formerly Senior Medical Director of Medical Policy, University of Pittsburgh Medical Center (UPMC) Health Plan, Dr. Smalley is a board-certified pathologist advising on payor strategy for coverage and reimbursement, with a focus on the precision medicine applications of next-generation omic technologies. Dr. Smalley is currently Medical Director at AlohaCare and a consulting medical director at UPMC. Freenomers are technical and creative, visionary and grounded, empathetic and passionate. We build teams around divergent expertise, which allows us to solve problems and uncover opportunities in unique ways. Freenomers are some of the most talented experts in their fields. Together we advance healthcare one breakthrough at a time.